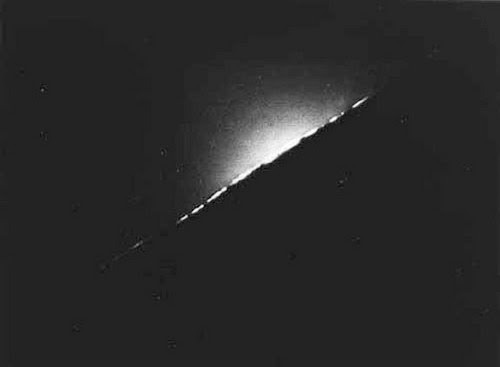 Surveyor 6 , November 6 1967 lunar sunset on the Western horizon. apparently no atmosphere on the moon. The theory suggesting electrically charged dust causing a sunline is questioned here. Of all EH2r records from a significant database of Earthly sunsets (from polar and temperate zones), none have given a sunline due to dust, it does not happen. Sunlines are a pure atmospheric optical refraction effect. refraction effect caused a few km away, not through a long distance of atmosphere. But caused by air less than half a meter above the gravel hill. It took very little gaseous molecules to cause this effect. There was a very faint or negligible corona because there was no dust or ice crystals (it was too warm for crystals to form). There was light winds as well, frozen ground reduced dust levels greatly almost completely. are caused by dust. They exist because of gas. Until a dust sunline can be replicated, a dust sunline is simply an un-observed theory on Earth. There is an unmistakable structure with any sun line, if you zoom you will see red line layered below the brighter yellow which can be at times blue or green. The red has to be below because there is less bending of red light, it is a refraction effect. Consider the same photo with no significant atmosphere and the line would appear greatly brighter than background. A careful look reveals almost identical sun line between Earth and moon, the difference is of course in part due to different optical equipment utilized. 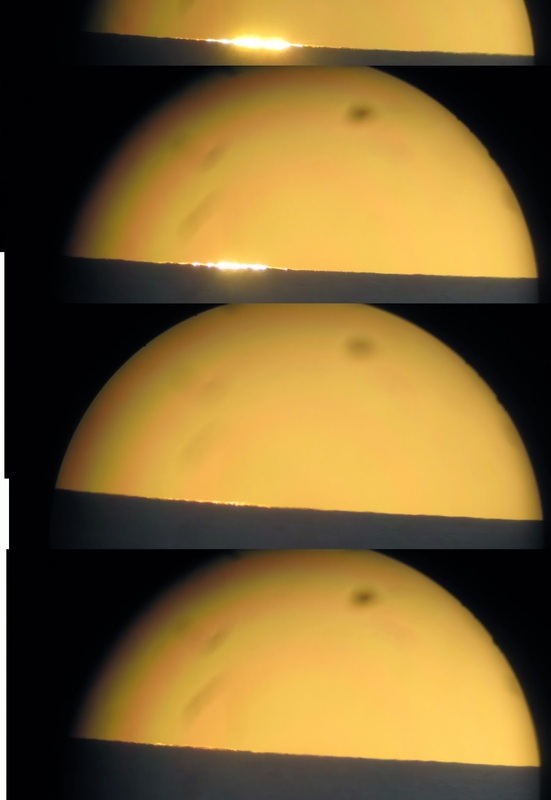 The moon's aureole was illuminated by moon dust, but the sunline is a totally distinct feature. Has nothing to do with dust as seen on the edges of the moon's sunline especially at left, where the aureole dust above hardly makes a glow. There is also a photonic disturbance below the main brighter moon sunline suggesting a red imprint of course not recorded as such. that light gets bent, creating a later sunset, indeed introducing focused photons making a layer of the micro horizon bright has nothing to do with particulates.